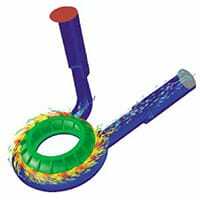 Stress Engineering Services is an industry leader in the application of computational fluid dynamics (CFD) methods. The ‘virtual prototyping’ provided by these methods allows engineers to test a wide range of alternative designs quickly and cost-effectively. CFD implementation has dramatically expanded the range of possibilities in predictive engineering, and we have the skill and experience to put this powerful technology to work for clients in any industry. We routinely use CFD methods to shorten product-process development cycles, optimize existing processes, reduce energy requirements, design of new products and processes, and reduce time to market. As methods and technologies continue to improve, CFD is being applied more frequently across a range of industries. CFD techniques can provide design and process improvements for any operation involving complex flow fields such as mixing, separation, drying, fluid transport, and heat generation. 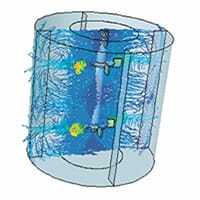 These techniques can also model combustion and chemical reactions, pressure distributions, two-phase flow, mold filling and solidification, and can provide particle and droplet tracking. Unlike experimental methods, CFD provides full-field data. Pressure, velocity, density, temperature, and other parameters of interest can be obtained at each point in the simulated flow domain. Thus CFD can be implemented in analysis, design, and rapid prototyping at various stages, providing deep information without the delays and costs associated with physical experimentation.